The Sonics may be gone, but the Storm remains! In addition to professional WNBA games that continue to be played here, the Seattle University Redhawks play their home basketball games here as well. In addition to these regularly scheduled games there are a ton of concerts, tournaments, and other performances scheduled here throughout the year. So...although we don't have the NBA here anymore - we have a ton of other cool activities. 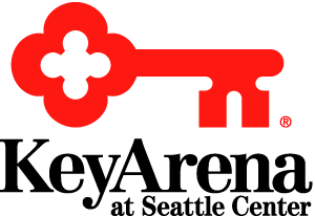 And if you're a Seattle resident, you can take some solace that the outstanding amount due on KeyArena was paid by the folks who moved our basketball team out of town.